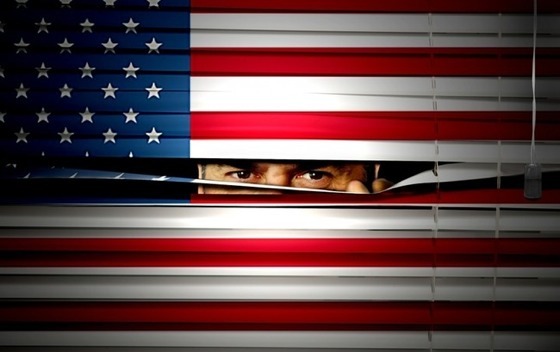 The Patriot act is on course to expire Monday, June 1st. Thus opening the floodgates to a torrent of activity, from the creation and failure of the USA Freedom Act, as well as a ten-and-a-half hour filibuster by Senator Rand Paul in addition to hundreds of columns and speeches. Then on Friday, May 29th more than 10,000 websites prevented congressional offices from accessing them to protest the Patriot Act. The Patriot Act’s expiration would be the sunset on that infamous Section 215 which has technically enabled the U.S. government to weasel their way into a secret interpretation of the wording of that clause to legally spy on all Americans. Unless Washington renews it before its scheduled expiration on Monday, government officials attempting to whitewash state-sponsored crimes won’t be able to hide behind the wording of that legal-loophole anymore. Meanwhile federal law enforcement officials continue to persuade through fear mongering, warning that the expiration of the Patriot Act would significantly diminish their ability to fight this existential threat they commonly refer to as “terrorism.” Attorneys with the ACLU assert that FBI already has all the tools it needs, accusing intelligence officials and some in Congress of “scaremongering” in order to incite prospective need for the Patriot Act. In a recent Reddit Q/A, Edward Snowden pointed out the fallacy of the argument that we need NSA to keep us safe. Supporters of mass surveillance insist that it’s the only thing to keep us safe, repeating that mantra over and over to anyone who will listen. But that’s an allegation, not a fact, and it turns out there’s actually no evidence at all to support that claim. In fact, a White House review with unrestricted access to classified information found that not only is mass surveillance illegal, it has never made a concrete difference in even one terrorism investigation. If mass surveillance really kept anybody safe, the intelligence community would have prevented 9_11 instead of enabling it; they would have prevented the Boston Marathon Bombing; they would have prevented the Charlie Hebdo incident; they would have prevented the Naval Yard shooting – and the list goes on an on. The truth is actually just the opposite – impending danger is cited to justify the perpetual growth of the Empire, as well as the on-going evisceration of our civil liberties. If you really think deeply about it, there is no such thing as security. More people die of peanut allergies than from terrorism. And if the state was really in the business of keeping people safe, why are so many Americans shot to death by law enforcement for no reason? If the state was really in the business of “keeping you safe,” wouldn’t they do something about the million Americans who die annually from cigarette smoking and heart disease?They tell us we need them to keep us safe in the language of a strong patriarch all the while playing on programmed insecurities and a sense of learned helplessness that they themselves has instilled. And they repeat those words so many times that we begin to believe them, and trade our sovereignty for the promise of a guarantee. Their rhetoric is that of a heroic-father figure, reluctantly searching through his daughter’s dresser for signs of drug abuse, when they’re more like the 13-year-old spying on his sister in the shower and stalking her on dates in vein efforts to get her in trouble with her parents. So privacy advocates celebrated the House’s overwhelming passage of the USA Freedom Act, otherwise known as the Uniting and Strengthening America by Fulfilling Rights and Ending Eavesdropping, Dragnet-Collection, and Online Monitoring Act, expressed as the necessary reform to end the bulk data collection of US citizens. The bill would have ended bulk data collection, prevented government overreach by limiting how data is collected, changed national security letter gag orders, and reformed the FISA court – that is the top-secret court modeled under the Foreign Intelligence Surveillance Act. Critics of the Freedom Act asserted that it would merely adjust and codify the government’s practice of bulk telephone data collection instead of actually putting an end to it. The slew of other spying authorities utilized by NSA were not addressed in the bill. Congressmen Ted Lieu explained that the nation might be better served by simply allowing the Patriot Act to flounder, rather than dividing focus on creating additional legislation. So after passing through the House, the Freedom Act died in the Senate. Now the Senate is scheduled to reconvene on Sunday, May 31, at the behest of Senate Majority Leader Mitch McConnell, mere hours before Section 215’s’ expiration. In spite of the House of Representatives rejection of short-term reauthorization of the Patriot Act, it appears that McConnell is going to bully his way into a last-minute extension of the program. In any event, if Section 215 of the Patriot Act dies at midnight on June 1st, it’s dead for good, along with two other key provisions. But aside from the potential of scoring political points for presidential hopefuls ahead of the 2016 election, its hard to say whether this debate will inspire the Government to follow the law as written. Now, pro-NSA bureaucrats are always quick to point out that the NSA is not violating any laws with its surveillance practices. However, US District Court Judge Richard Leon ruled that NSA surveillance practices were “likely unconstitutional” even going so far as to refer to them as “almost Orwellian.” The Privacy and Civil Liberties Oversight board have also confirmed that NSA practices are illegal. It leads one to wonder then, if the Freedom Act had make it through the Senate, would we witness any substantive changes? Even if the bill was capable of actually altering the law, when was the last time we read about NSA concerning itself with following the laws of this land? The NSA has been violating written laws for decades and has defended such violations at all costs. After all, disregarding constitutional rights is exactly how the NSA got to this point. Legal compliance is not in the DNA of NSA any more that telling the truth is. We’re told that they’re not collecting the content of our Emails and phone calls, that they’re only collecting the metadata, which is a blatant lie. As former NSA official William Binney points out, they wouldn’t have been able to retroactively seek out the alleged culprits of the Boston Marathon bombing if they were only collecting metadata. Furthermore the collection of content is the primary reason for the new massive NSA data center in the Utah desert, which would not be necessary if they were only collecting metadata. And if preventing violence was really their M.O., their budgets would not have been able to swell the way they have. So perhaps we shouldn’t be fooled by the circus of political posturing currently underway. As we can see looking back over the decades, NSA surveillance is likely to prevail one way or another. Besides, the only reason NSA reform is even being considered is because Snowden leaked classified documents that exposed NSA spying programs in detail. However, that does not mean we should sit idly by and let Congress reinstate the Patriot Act; it wouldn’t be in our best interest to give the political pony-show the impression that people are not paying attention. We have the truth at our fingertips and the will to investigate the true legality of our government spying on its own citizenry. Snowden rocked the political world and remains in the limelight as journalists continue publishing information sourced from a treasure trove of top-secret documents he took from NSA. But this whistle was blown repeatedly before anybody became aware of Snowden’s name. It’s just that other whistle-blowers who could not produce such explicit hard evidence have been ignored. Daniel Ellsburg, J. Kirk Wiebe, Ed Loomis, William Binney and Thomas Drake are just some of the more well-known NSA personnel who went public before Snowden did. And because these men were heavily persecuted and ignored despite going through the so-called “legal” channels of exposing criminal activity and government overreach, Snowden realized that if he was going to expose his revelations by a similar route, he would have ended up as a political prisoner like Chelsea Manning and Jeremy Hammond. But here is the problem with the whole Snowden conversation – it isn’t about Snowden. Every minute we spend discussing whether he’s a hero or a villain we’re massively missing the point. They say that if you have nothing to hide, you have nothing to worry about. But dragnet surveillance isn’t insidious because it might keep harmful activity at bay. It’s insidious because it changes everybody’s behavior, it stifles inquiry, it limits discussions, it gives rise to the concept of thought-crime, and it prevents sources from reaching out to journalists for fear of the possibility of adverse consequences. And because mass surveillance of one form or another has always been employed by every totalitarian regime in history, its one of the early warning signs of fascism. This entry was tagged Ed Loomis, J. Kirk Wiebe, Liberty, NSA, Panopticon, Security, Snowden, Surveillance, Thomas Drake, USA FREEDOM Act, USA PATRIOT Act, Whistleblowers, William Binney. Bookmark the permalink.